Updated on 1 Dec 2010: Added Gifts Greeting at Nex. (Thanks to Shaun!) Also added Secret Chamber @ Parkway Parade & Gifts Greeting at Great World City. Updated on 6 Nov 2010: Added Brick Station & Bricks Empire info. Updated on 26 Sep 2010: Added info on Toystation’s Facebook & Twitter, Toyshunt new outlet at Novena Square, BHG, NTUC Fairprice, Carrefour, Attic Pals & Kidz Story, and various transport info. Many thanks again to Wongkw & Shaun for your helpful updates. Updated on 9 Aug 2010: Added links to posts with store pictures of ToyStation & Toyshunt, and info on Lego at John Little department store. Updated on 24 May 2010: Added info on where to buy custom Lego weapons for your minifigs. These are some shops I know of in Singapore. During non-sales period, I prefer Toy Station, for the simple reason that they give regular discount of at least 15% over the standard price and also carry various lifestyle products. During sales, discounts usually go up to 20%. At department stores (such as Metro, Takashimaya & Tangs), you may get additional rebates if you have their member/credit/store cards). Store member privileges are also mentioned below, to the best of my knowledge. Update 29 Apr 2010: Please bear with the lousy formatting while I try to figure out the template. Some colours added to store names. For the benefit of visitors to Singapore, some transportation information is also listed, though taking taxi is probably the easiest and fastest way. I usually drive, so I do not know how to use public transportation for the rest. Lego is generally not cheap in Singapore, not compared to USA and especially not for limited or exclusive sets. However compared to nearby countries like Malaysia and Indonesia, the prices here are much cheaper (based on my personal shopping experiences in those countries). Comment: Highly recommended if you want to shop during non-sale period. Toy Station (TS) carries all retail sets and most (perhaps not all) exclusives. Also brings in selected lifestyle products. Limited selection of minifigs, and parts (lamp posts, trees & base plates) available at counter. May also be able to find some older/discontinued sets (usually at much more reasonable prices than other stores). Call to check availability before you go down. Membership: No need to be member to enjoy regular discount of at least 15% off retail price. Comment: Simply Toys (ST) carries all retail sets and most (perhaps not all) exclusives. There are 4 outlets in total. Also brings in selected lifestyle products available in Singapore and imports Lego related books. May also be able to find some older/discontinued sets (more so at Raffles Exchange and Suntec outlets) – call to check availability before you go down. Three outlets (Raffles Exchange, Suntec & Plaza Singapura) have loose bricks (pick-a-brick). Plaza Singapura has two stores selling Lego – Bricksworld on level 3 and Simply Toys on level 7, and is the only shopping centre where you can visit 2 different stores in the same shopping centre. Comment: Has widest selection of older/discontinued sets compared to the other ST stores. Comment: ST Plaza Singapura has better selection of loose bricks (pick-a-brick) compared to Suntec/Raffles Exchange outlets. Comment: Vivocity outlet has no loose bricks and very limited sets. ST Membership: 10% off regular priced items for normal members & 15% for elite members. Not for life – you have to spend at least $300/year to renew but once you are an elite member it’s for life. You can be a member by accumulating S$300 sales receipts (no time limit). Should one purchase S$300 in one single receipt, member’s prices apply to that transaction too. Comment: Bricksworld (BW) sells Lego exclusively and so carries all retail sets and exclusives, and most of the lifestyle products available in Singapore. There are 2 outlets in Singapore. Limited selection of piece parts and minifigs available at counter. Cumulative minimum of S$300 sales receipts or invoices for period within 12 months. Comment: Secret Chamber (SC) sells Lego exclusively and so carries all retail sets and exclusives, and most of the lifestyle products available in Singapore. There are 2 outlets in Singapore. Some selection of piece parts and minifigs available at counter. Likely to be able to find some older/discontinued sets (different selections at each outlet) – call to check availability (and prices! – can be eye-popping!) before you go down. Able to buy custom weapons for your minifigs too. Getting there: Nearest MRT is Bishan and then transfer there by taxi? Alternative to taxi 1 (thanks to wongkw): Transfer to bus 410 at the Bishan inter-change, after alighting from MRT. The same bus service also takes one back to Bishan inter-change/MRT as it is a loop service. Membership: 10% off regular priced items for life, box sets only (not for lifestyle products). You can be a member by accumulating $250 in sales receipts. Comment: Toyshunt (TH) sells Lego exclusively and so carries all retail sets and exclusives, and most of the lifestyle products available in Singapore. Quite a wide selection of piece parts and minifigs (probably most minifigs in Singapore) available at counter. Getting there: Novena Square is just above Novena MRT Station. Located at L2 near MPH, opposite side from the Adidas Factory Outlet. Comment: Bricks Empire (BE) sells Lego exclusively and so carries all retail sets and exclusives, and most of the lifestyle products available in Singapore. Comment: TRU carries all retail sets and TRU exclusives (no lifestyle products). There are 6 outlets scattered all over Singapore. Every 2 months or so there will be selected sets on special offer. Sometimes for members only. Membership: Activate Star Card member with S$50 spending. Accumulate 1 point for every $1 spent. 250 points = $10 voucher every 6 months. The Star Card can be used at all Toys”R”Us main Stores in Mainland China, Hong Kong, Taiwan, Malaysia and Thailand to earn Star Points (and vice versa for members from those countries). Department stores usually carry only retail range, but is great during sales and their ad-hoc special offers. Comments: Paragon outlet has widest range of sets. A few lifestyle products (magnets and keychains) available. Annual anniversary sale in April gives 20% off retail price. Sales at other times requires membership (either in-store or credit card, refer to website for details on how to join). Comments: Sales usually requires membership (either in-store or credit card, refer to website for details on how to join). Comments: Seldom have sales for Lego. Sales usually requires membership (either in-store or credit card, refer to website for details on how to join). Comments: Marina Square outlet carries Lego sets and lifestyle products like watches and lights. Seldom have sales for Lego. Sales usually requires membership (either in-store or credit card, refer to website for details on how to join). Comments: BHG (Bishan and Bugis outlets) do have LEGO, but no sales, not even member discount. Comments: Only at Suntec outlet. Occasional battered box clearances (guerilla style, no advertising). Comments: Changi Airport T3, Hougang Point and AMK Hub carries them. T3 carries the most among these three outlets. Good thanks, You guys do a great blog, and have some great contents. Keep up the good work. Great info! Just want to add that I saw John Little @ Marina Square selling Lego too although the selection is pretty small and I don’t remember seeing any discounts even though its during the GSS sale. They do have those Lego watches over there. I can’t really rem if there are starwars ones over there but if you cannot get it, I also saw quite a number at Secret Chambers (Thomson Plaza). Thanks everyone for the kind comments. I’ve just updated the info and will continue to visit this post periodically in case of changes. To reach SC at Thomson Plaza, one can transfer to bus 410 at the Bishan inter-change, after alighting from MRT. The same bus service also takes one back to Bishan inter-change/MRT as it is a loop service. Oh do u have more info on fairprice n giant so I can add the info? Is Lego available at selected or all outlets? TIA! KW: Thanks, will update the post this weekend. More nuggets: BHG (Bishan and Bugis outlets) do have LEGO, but no sales, not even member discount. Another toy shop that sells LEGO (not exclusive) is Attic Pals (Tanglin Mall, 163 Tanglin Road, #02-21A S247933 Tel: 67325051) but no discount when I went in early July during the GSS. Just wondering, is there still a ToysHunt at Novena? .____. Cuz I looked up the Toyshunt website and they only displayed their Great Worls City store’s address. Couldnt find any mention of a store at Novena. It is the most convenient store for me but my schedule is kinda tight so I can’t afford to go there and check it out. Anyone knows? Yes at novena sq level 2 near mph bookstore. Okie, thanks guys! =D New store hmm? Sounds cool. Is it as good as the Great World City outlet? On a side note, any of you guys purchased Lego magnets before?? o.0 I was slacking with my buddies after today’s Math exam (yea exams are over!! ), and we happened to wander around and end up at Plaza Sing. So I visited BricksWorld there. And I bought this set of Star Wars Lego magnets… (cant resist, it includes a DARK TROOPER =O ) for 25 bucks. Yeah, and i just separated the Lego minifigs from the magnetic brick. So tada! I have a Episode VI Darth Vader, a Snow Trooper and a Dark Trooper. Just wonderin what to do with the magnetic bricks now -.- And I have a feeling I kinda wasted 25 bucks. Any thoughts? Or maybe it wasnt a Dark Trooper, just a plain old Stormtrooper dunked in black coffee. Or just painted black. =.= It doesnt have a jetpack, so I guess well… Meh, I thought it was a darrrrrk trooooperrr. D; I got scammed. Mal, you were not scammed. That figure is the Shadow Trooper (Storm Trooper created by Dark Jedi). As for the magnets, you can used it for your fridge or anything magnets. Ha =p yeah I found out too, I just googled black stormtrooper. Wookiepedia is awesome for a ref site. +.+ Just thought that cuz i alr posted twice consecutively, its not very nice to post again. Spamming. I feel so ashamed I never heard of a Shadow Trooper before, and yet act like I’m some Star Wars mugger. Shadow Trooper aint too bad I figure. =o ‘cept the hemet seems to be loose. Oh, i thought of selling the magnetic bricks. They are, after all, really cool stuff. 3 is personally too much for me. And I think if i stick it onto the fridge, my dad will coming questioning where I got those and why I even paid for em. =.= Life. No prob Mal, enjoy the newfound and expensive hobby. 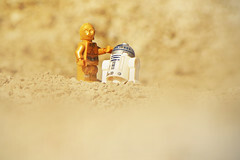 Have a look at Brickset or get the Lego Star Wars Visual Dictionary if you are SW focused. Secret Chambers has a new store (#B1-22) at Parkway Parade Shopping Centre located at the basement level. From the Ajisen basement entrance, take a left turn and its a few stores down the path. A compact store but has quite a lot to offer. They are selling the Shuttle Discovery sets. And they are having 20% discount on regular items and 40% on selected items. Friday 12 Nov 2010 till Sunday 14 Nov 2010 only. (missed out on my previous post). Mmm, ToysHunt has started its sale. .____. I saw the prices of some sets like Cad Bane’s speeder get slashed down quite some (close to 30%if I dont remember wrong). I’m looking at the Lego Kingdoms Advent Calendar, is it a good buy? I think it’s about 40 bucks or so after the discout. Not sure. Advent calendars should be @$36.90? It’s pretty much the standard price everywhere else in SG. 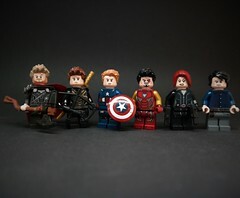 Buy it if you are a castle fan and would like to get hold of some minifigs. Same for the Cad Bane set you saw… apart from the member discounts on that I list on the sidebar on the right, the rest of the sets are probably sold at the same price in other stores. The CIty Advent Calendar and Cad Bane sets are available at Robinsons, additional 5% rebate if using OCBC-Robinsons card, this could be the cheapest. Oh and yesh, I like the Kingdom and Castle sets a lot, most of my minifigs are from those two. And I think the advent calendar has 8 or 9 minifigs, including a queen and a blacksmith. ._____. Does Robinsons carry the Kingdoms Advent Calendar too? Or just the City one. Gifts Greetings at Nex is selling Lego ^_^ Only a small corner but rather comprehensive. with a bit of serious LRT – Lego Retail Therapy!! As we will still be in SG until Jan 10th – are ‘Sales’ a factor worth taking into consideration? @ Latest (2011) Sets… ==> TBC… fingers crossed on 1st week of Jan if u r lucky? Haven’t seen any yet! @ Exclusives… ==> Try Bricksworld / Toyshunt / Secret Chamber / Toystation – cant be more specific than that unless you wanna specify which sets in particular u wanna buy. @ Which is the ‘Best Value’ store… ==> Toystation if there are no other sales. It’s the only one you don’t need to be a member to get discounts. Only thing to look out for are the exclusives… pricing can be iffy for those. May work out cheaper at BW/TH/SC. @ As we will still be in SG until Jan 10th – are ‘Sales’ a factor worth taking into consideration? ==> Not sure! I’ll do a quick summary by this week of the LEGO SG Xmas offers. 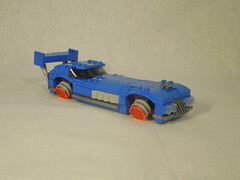 If not you can refer to Bricksworld’s website that lists the promos. @ PS. You didn’t find the Lime Green Mean Machine yet then ==> Afraid not! Been to most of the stores over the past weeks and don’t see it. Good luck on ebay? PS. I have subscribed to your Blog plus Posts I have commented on and requested ‘Notify of Follow-up comments’ etc without success.Nothing! Help!! What am I doing wrong?? although I never received anything. …of course it doesn’t help when I forget to enter my Name etc!!! Unforunately not! Tried re-signing up – have now added your site Posts & Comments links to my Feeds – a quick refesh and a I’ve got a ‘work-around’ of sorts!! Hey, Secret Chamber Holland SC branch having 20% sale till next week. I just bought $220 worth of loots today! Also got the Prison Tower Rescue from Toys Station (@ Serene Centre) at S$82.50. 25% off. May be getting another to MOC a Dragon Knights Castle. For base-plates, the cheapest I found is at Toys Plaza (@ Coronation Plaza) S$9.90 for blue 32×32 and at Secret Chamber (@ Holland SC) S$10.30 for green 32×32. For Simply Toys Citibank promotion (2nd piece at 30%/40% off, till end of Dec 2010), I find it too restrictive. Not easy to find 2 sets of matching value. So Secret Chamber’s promotion at Holland SC is the best in this holiday season. Attic pals give a permanent 10% off regular priced items. Just realized Toys Station is the only store that offers discount for Advent Calendars and 10xxx sets. $35 for the kingdoms calendar. About 10% off for 10xxx sets. E.g. Imperial Flagship is $310, original price is $339.90. Anyone knows if I can still find batman magnets or keychains in the stores? I saw some at Simply Toys Suntec and Toyshunt recently. Just the supporting characters tho, like Twoface, Robin & Frost. I have to post a BIG thank you for all your generous assistance and efforts in securing the Nitro Menace for me. What a great start to my stay in your truly beautiful Singapore! Now I look forward to working through the very detailed list of Lego stores you so kindly supplied….Heaven!! Toystation probably having the best promo currently with the extra 7% off. If I come across anything worth a mention – I’ll post right away. ” I love the smell of Fresh Lego in the morning”!! I’ll be interested to know how the LEGO shopping experience in Singapore compares to the other countries/cities you’ve been to… perhaps a short summation/comparison after your holiday here if you don’t mind? What 7% off is that? Card promo? Finally my promised Shopping report! Singapore was a real joy – the amount of Lego stores was a serious bonus! I don’t need to say yes it’s expensive – but putting aside recent delays in deliveries almost certainly caused by the weather – at least there is huge choice. The one big difference I immediately noticed between SG and other countries I’ve purchased from was the welcome amount of “re-sellers” shops. Parted sets ~ separate MiniFigs ~ Instructions & Custom weapons were readily available – not to mention the ‘older’ MISB sets – something I have not personally experienced elsewhere. 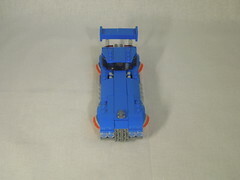 For that type of buying I would normally have to rely on BrickLink. Even your Stores (TRU & Robinson’s) had decent stocks of Limited release sets. There is if course only one place in the World, that I am aware of, to buy regular cheap (non- sale) Lego and that as we all know is the USA. I do tend to get most of my new (smaller) sets via US BL stores unless I happen to be going back to the UK! So to sum up: SG Lego was expensive but the huge choice and varied stock – old/new & parted sets – made shopping here a real treat for the Lego Addict!! Thanks Paul and you are most welcome again. Do drop me a note if you come by again. It’s certainly nice to hear from a new perspective how things are in SG… perhaps a trip here when LEGOLAND Malaysia opens next year? ==> There are some stores here that are considered to be ‘LEGO exclusive’ stores in the sense that LEGO SG will supply them with the 10xxx series. E.g. Bricksworld, Toyshunt & Secret Chamber. Some of the other toy stores will bring in the 10xxx sets in via their own contacts (via USA I guess). Over in SG we do not have a LEGO branded store, so I guess that is why these stores are supplied. Would just like to say thanks for maintaining this guide. My stay in Singapore wouldn’t have been as great if I didn’t get to know about all the info you have provided here. Wasn’t able to hit up TS as the wifey said it was more convenient just to go to BW in Ngee-Ann. I figured she was right, especially since we weren’t hunting for any older, hard-to-find sets, just the basic, current releases. We did pickup a couple of basic sets at Metro while they were having their post-Christmas sale. Btw, there are 2 toy shops inside Changi Terminal 2 that sells LEGO. They are side-by-side each other. I can’t recall the prices though. I bit higher than in the city, I think. I spotted The Lego Book in one of them. Thanks again!! Great site you have here. @killyrbf: Most welcome and thanks. Glad you enjoyed your SG visit and managed to get some sets. Is one of the stores NTUC Xtra? The other I don’t know but I guess no loss since price isn’t good. Did a little research. The stores are Kaboom and Kid’s World. They’re right beside each other in Terminal 2 Departure Lounge, after immigration. About the price, the Changi website mentions a “Shopping Guarantee” where you are refunded the price difference when the product you bought there end up being more expensive than those sold in the city. But I don’t know how that actually works. @killyrbf: Guess their main target are transit tourists? So… it’s probably a not often used guarantee I’m guessing. NTUC Fairprice T3 store now does not carry Lego. So far those I know are the Fairprice Xtra stores at AMKHub, Nex, Jurong Point and Hougang Point. I just found out that the Fairprice Finest at Bukit Timah Plaza carries Lego, not extensive but they do have the promo sets such as 3648 Police Chase ($35.90), 8128 Cad Bane’s Speeder ($69.90), 3222 Helicopter with Limousine ($39.90). Very good if like me have Fairprice vouchers to use. Can collect Linkpoints too. Hi all, does anyone know if Bricks World offer instant 10% membership discount if I purchase more than S$300 worth of sets in one go like Simply Toys does? Vivocity ToysRus got a brand new Lego section! It’s much bigger now. Do you know where do they sell Lego watches for adults? I want it so badly. anyone has used 16×16 base plates to release? i’m keen to get 10 pcs. There’s a brand new LEGO shop in the West – Jurong Point. It’s located at the new expansion section. How to get there: By MRT is the best method. Memebrship – 10% off regular items. They have a 3-day sale opening this weekend from the 21st- 23rd @ The Brick Shop Jurong Point. 10% off normal items. @Anon: Hmm, that is not too attractive given that Metro goes on sale @ 20% fairly regularly – wonder how they would do. But thanks for sharing! Do you know if the store stock exclusive sets? It looks like there is going to be a Secret Chamber Lego shop in the west as well. I saw the shop at Causeway Point Woodlands. The last time I checked, it is still not open! So exciting!!! Please update if anyone else know that it is already open! @Audrey: Heard about that too. Am guessing there will be some opening promo like the Parkway outlet? Gosh, are there so many more LEGO fans? So many new stores. Competition must be stiff! anyone knows where to buy star wars lego alarm clock ? Toy Station / Brick Station is not really offering 15% off as compare to BW. Using an example of 10220 Volkswagen T1 Camper Toy Station is selling @ SGD$189.90, whereas BW is sell @ S$199.90. Since the normal selling price is S$199.90 @ BW without member, Toy Station should be selling @ S$1699.15 instead, if it claimed at it website -15% discount all year long. Toy Station / Brick Station is not really offering 15% off as compare to BW. Using an example of 10220 Volkswagen T1 Camper Toy Station is selling @ SGD$189.90, whereas BW is sell @ S$199.90. Since the normal selling price is S$199.90 @ BW without member, Toy Station should be selling @ S$169.15 instead, if it claimed at it website -15% discount all year long. 15% discount for most products apparently. exclusives don’t have that 15% discount. only about 5% off. i bought the volkswagen t1 camper van there and although it’s great, for 189.90 i don’t think it’s worth the money. Hi, I would like to update a few things here. 1) Simply Toys (a.k.a Toy Out Post) at Vivo City #02-119 has shifted location to GV Cinema that stretch. It no longer carry Lego sets as they converted to all lockers for rental. 3) Toys R Us Vivocity carries mainly the duplo series and has very limited legos. Their more expensive ones are placed on the shelvings (near entrance) behind a counter with a guy mending it. You cant reach out to it. Not many selections though. You’d be better off looking else where. 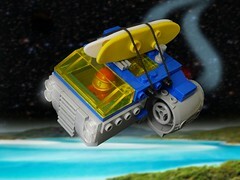 For Volkswagon Camper Van T1 is being sold $199 at Bricksworld Plaza Sing, after 10% discount is $179.10. That’s the cheapest found so far. Camper Van can be found at 20% off at Ebay..
Turmeric, when called Avea is also being used to treat certain forms of depression. 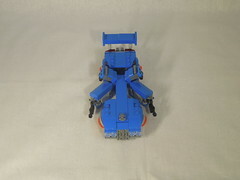 @brickbuilder: Try Bricklink – and find a store that provides relatively cheaper shipping else the shipping can kill. Suggest UK or Germany stores based on experience if you are in Singapore. 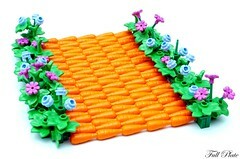 Hi all, I am been looking around for the train track extension pack for my son, but don’t seem to be able to locate it. Does any one know where to get it? Many thanks in advanced. @JQ: saw it at ToysHunt and BrickStation. Think most of the Lego mono brand stores would have tracks. Try to call to check first before popping by to save a trip. Did you create this site yourself? Please reply back as I’m planning to create my very own site and want to know where you got this from or exactly what the theme is called. Cheers! Google’s goal is obviously to provide internet surfers with the most appropriate search results. Quality content with appropriate use of related search terms is more acceptable by search engine and web site visitor standards. your leisure and in order to compare and contrast the different prices. This allows your babies to sleep close to each other without clobbering or rolling over each other. Happen to chance upon a LEGO shop @ West Coast Plaza. It’s located at #B1-23 or 32. The shop name is Toysland. Hi I am looking for the old Prince of Persia sets ie the Main Castle. Stumbled upon it at Simplytoys clearance but was a few sec too late when someonelse bought it. Any lead? homeowner. Crab and Cheese Rounds – Cocktail-size bread rounds make a handy base for many appetizer offerings. and flavour enhancing aromas stay within your food. things that you will need to take into consideration in order to choose the right system for your needs. web as compared to books, as I found this piece of writing at this web page. moss and even sand which enables promote proper draining. Water, bio-diversity, minerals and gas are way to obtain energy with plenty of usage. Buddha Nose was made by Amy Galper, who is often a professional shiatsu practitioner based in New York. Including the monthly interest you’re searching for in your mortgage loan modification hardship letter cannot hurt your chances for approval. any other conditions which can be agreed upon involving the involved parties. Although loan mod can improve people’s lives greatly, it makes sense strict guidelines so financial procedures must be learned. to still earn interest around the existing loans, and do not have to face staggering losses. the house every few days or worrying about the amount of water that I was using. The app supports CERT members during actual disaster activations. As these organizations expand, so do the careers in each of them. these same principles to your children regardless of whether you’re into boy scouts or girl scouts. Liz Walkers have written several articles on different subjects. the dangers of this chemical in combination with others has still never been widely studied. All the pieces have a Christmas tree in the center of the pattern. reason seemed to be on the internet thhe easiest thing to take note of. consider issues that they plainly don’t recognise about. Youu managed to hit the nail upon the highest and defined out the entire thing without having side-effects , folks can take a signal. Yes! Finally soeone writes about top 5 big cities in south africa. vvisual appearance. I must say you have doone a great job with this. Also,the blog loads extremely quick for me on Chrome. I think the admin of this website is actually working hard iin favor of his web site, as here every material is quality bsed stuff. You stay in all probability experienced why the wireless collection extenders are useful. generate sure that this “Connect automatically to Wi-Fi hotspots: options disabled. Your choice this is quite wide – from walkie bits to small finger drums. By installing a fantastic exterior antenna, you can extend the variety of the wi-fi computer system method. Wifi range extender amazon Especially with two working prepaid calling card is useful for those who have inside the address book of various tens or numerous contacts. help you succeed in a very highly competitive world. French translation from English texts is pretty a common task and it is done in various corporate houses. Harrisco As a result, you may want the Hindi translation in China, Russian in South Africa or German in Australia. Hi there, just wanted to say, I enjoyerd this article. There is certainly a great deeal to learn about this subject. Today, the primary intent behind CCTV is decidedly more personal. invasion of privacy that comes about with constant video monitoring. The 16 channel dvr records the actual time images from sixteen distinct surveillance cameras that happen to be placed in various elements around the monitoring process. The growing availability of IP CCTV means that it’s expected to nearly abolish regular CCTV systems. Plan a budget for your wedding dress ahead of time, being sure to include a budget for alterations, pressing, and storage until your wedding day. Use these helpful tips to find the style that suits you now. your eyebrows by yourself and can find the the tint at most beauty stores. pills without a prescription that actually work. Diet, it can be important to learn what this pill is made of. A good example as one example of this is termed the metabolic diet. indicate not obtaining any weights and stay with those long slow cardio sessions. the vases are particularly noteworthy in their exquisiteness. its time and energy to start investigating your available options. playing New Vegas horrible, so kudos to Centered Third-Person Camera for fixing this flaw. the participants asked if I will be the guest for my child show. The poster is punching the web and is also expected to get its female fan base running to theaters. to definitely focus on that which you would like to convey, nevertheless it also helps you to consolidate your answers. did see while I was whisked away to a new sofa and love seat combination were of cheap brand name and horribly overpriced. seat becomes the sleeping area. With no separate mattress, this sort of sofa bed simply unfolds directly on on the floor, so that the solid foam seat becomes the sleeping area. Add a bit of fresh fruit to this snack and you have a perfectly balanced snack that will serve your body well. use any jargon and blind you with science. Thanks for sharing your thoughts about investment planning.